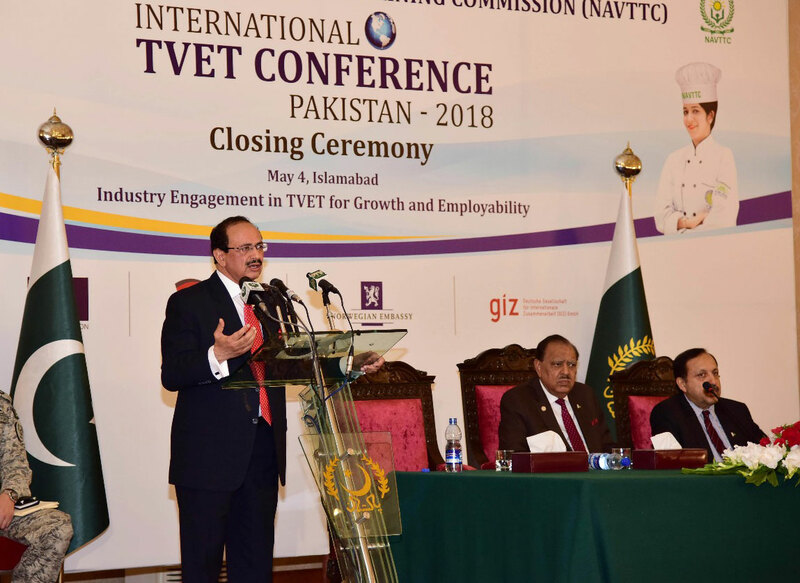 The National Vocational and Technical Training Commission (NAVTTC), in collaboration with the TVET Sector Support Programme, organized another International TVET Conference held in Marriot Hotel, Islamabad, Pakistan from May 3 to 4, 2018. This year’s program, bannered by the theme “Industry Engagement in TVET for Growth and Employability”, had around 200 participants coming from TVET agencies and institutes all over the world. Mr. Zulfiqar Cheema, Executive Director of NAVTTC graced the Opening Ceremony and delivered the Welcome Address after a Recitation from the Holy Quran. Mr. Sheikh Ansar Aziz, Mayor of Islamabad followed with another Address. As partners in organizing this year’s program, H.mE. Jean Francois Cautain, Ambassador of European Union, H.E. Martin Kobler, Ambassador of Germany, and H.E. Tore Nedrebo, Ambassador of Norway each had an opportunity to address the participants. Lastly, Honorable Engr. M. Baligh Ur Rehman, Pakistan’s Minister for Federal Education and Professional Training concluded the Opening Ceremony with his speech. 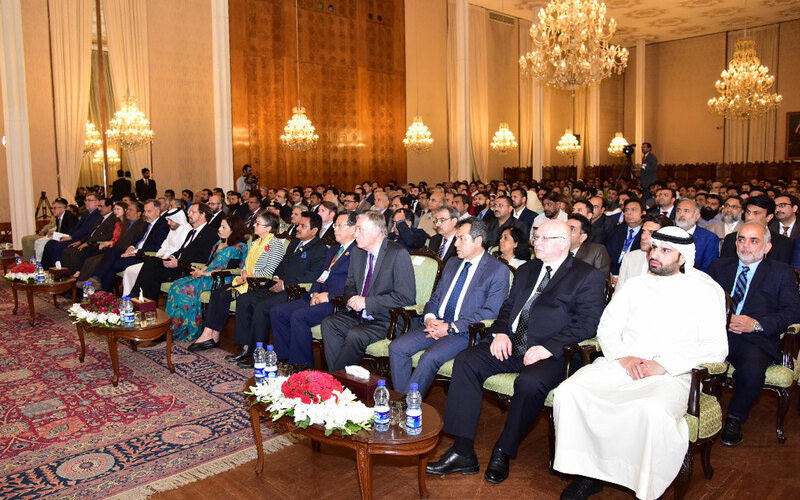 The conference had resource persons coming from Pakistan, UK, Australia, China, Malaysia, South Korea, Turkey, Germany, Sri Lanka, including CPSC Director General Dr. Ramhari Lamichhane. Dr. Lamichhane delivered his paper, “Fostering 21st Century Skills” in one of the conference sessions under the theme, Maximizing Regional and International Cooperation for Enhancing Youth Employability, along with fellow resource persons Mr. Zhang Yuan of China and Dr. Birol Cetin of Turkey. Other thematic areas presented in the conference included: Industry Engagement for Effective TVET Delivery Obstacles and Opportunities; Enhancing Employability through Industrial Linkages: Issues and Challenges; Industry’s Role in Training and Placement - Gaps & Solutions; Successful Implementation of Apprenticeship System - Impediments and Way Forward. 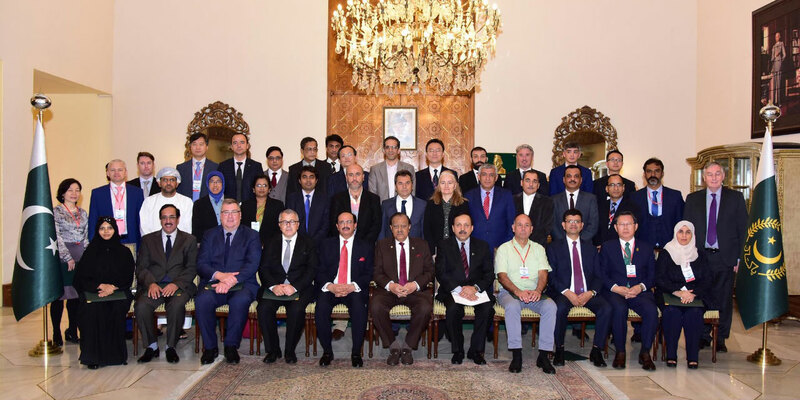 At the end of the conference, His Excellency Mamnoon Hussain, President of Pakistan honored the Closing Ceremony with his presence and address to the participants.